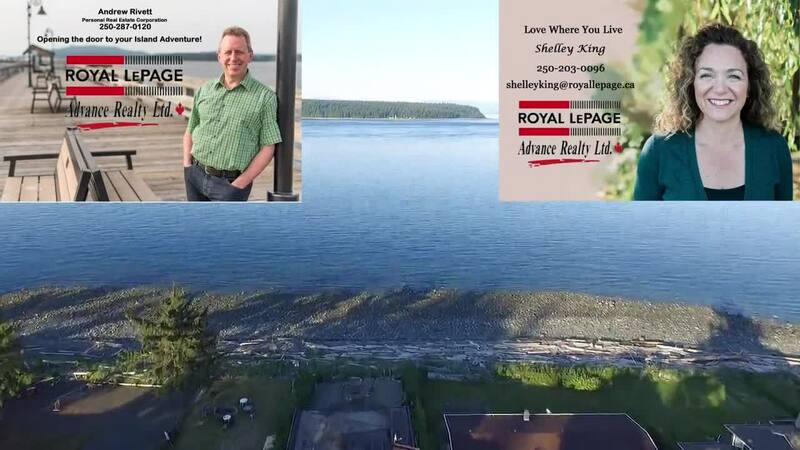 775 Island S Hwy - Royal LePage Advance Realty Ltd. Stunning home with walk on waterfront has been built with exacting detail using locally sourced materials. Gourmet kitchen with beautiful custom cabinetry is open to great room and all have breathtaking views of Discovery Passage. The design of the house makes it perfect for entertaining with seamless transition through the main living areas and outside to the ocean front covered patio with granite, bar height table. Master suite includes walk-in closet, luxurious ensuite and again that view that draws you outside to a private patio for two. Upper deck (with hot tub) is accessible from the family room/office (with sauna) and bedroom wing granting privacy for your relaxation. A games room across the hall completes the upper level with a wet bar, heirloom piano and full size pool table. Beach front retirement home, B&B or family home, this house something for everyone. Far too many quality features to list, see feature sheet for more details. The blue circle drawn on the map represents the area which is most likely to contain listings comparable to 775 Island S Hwy. If you wish, you may adjust the circle by dragging the white center handle to move it, or dragging one of its other white handles to resize it. Press the 'Next' button at the top when finished.